Guest Bio: Dr. Pritesh Gandhi, PharmD, is Vice President-Medical Affairs at Alnylam Pharmaceuticals, where he leads the execution of key clinical imperatives. Dr. Gandhi joined Alnylam in 2014, coming from Sanofi, where he most recently served as Associate Vice President of Global Medical Affairs. Prior to Sanofi, Dr. Gandhi held leadership positions at Alexion Pharmaceuticals and Millennium Pharmaceuticals (now Takeda Oncology). He received his Doctor of Pharmacy at the Massachusetts College of Pharmacy and Health Sciences and completed a Pharmacy Practice residency at the University of Illinois, Chicago. 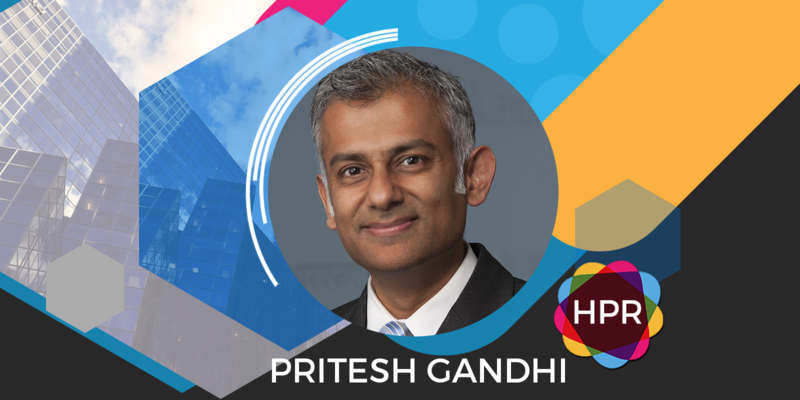 Segment Overview: In this health supplier segment Dr. Pritesh Gandhi discusses Alnylam Act, what it is and what it has to offer to those at risk for Acute Hepatic Porphyrias (AHPs). The program was originally for those with hereditary ATTR amyloidoses and has been expanded to include AHPs. Neal Howard: Welcome to the program. I’m your host Neal Howard here on Health Professional Radio for this health supplier segment. AHP are a family of rare genetic diseases that are characterized by potentially life-threatening attacks. Our guest today is Dr. Pritesh Gandhi. He’s Vice President Medical Affairs at Alnylam Pharmaceuticals. He’s joining us today on the program to discuss Alnylam Act, what it is and what it has to offer those at risk for AHP. Welcome to the program Dr. Gandhi. Dr. Pritesh Gandhi: Thank you Neal. N: Thanks for taking the time and I’m glad that you could join us today. First, give our listeners just a bit of background about yourself. G: I’m Pritesh Gandhi. I’m the Global President of Medical Affairs at Alnylam. I’ve been with the company for about 4 years and it’s a pleasure to be on this interview with you today. N: Alnylam Act, we’re going to jump right in to this brand-new expansion. But first, tell us what AHPs are, this family of rare genetic diseases. G: Sure Neal. AHP is in essence an Acute Hepatic Porphyria. It’s a rare disease that is characterized by a heme biosynthesis pathway defect. What it results then is an accumulation of toxic metabolite. This toxic metabolite when they accumulate when there’s an attack with porphyria. The symptoms are excruciating. They’re acute as well as chronic in nature and patients do really have a major impact in terms of their quality of life. N: Is this a genetic disorder or just something that can be contracted by anyone? G: That’s a good question Neal. It is a genetic disorder. The disorder is referred to as a disorder that is genetically passed on from a parent and even though you may be carrying the gene, you could be a gene carrier you may not necessarily have the symptoms or you could be a carrier and certain percentage of your patients they will actually exhibit symptoms if they carry the gene. N: Alnylam Act, what is Alnylam Act and how does it benefit patients who are at risk for AHP? G: Sure Neal. Alnylam Act is a third party genetic testing and counseling program that is offered free of charge. It is a program that we are partnered with, with a laboratory called Invitae. With most rare diseases Neal, what we see is that there’s a delay in diagnosis. That delay in diagnosis is predominantly because clinicians may not think about the disease and it’s rarely diagnosed. We want to try and do it here to enable an earlier diagnosis through this free third party genetic testing and counseling program referred to as Alnylam Act. N: Even though it’s free, is it available to anyone, everywhere? G: Patients in North America, specifically in the United States of course and in Canada. The program is available for individuals that may be exhibiting symptoms that are consistent to hepatic porphyria and the patient’s physician to order the test through the Alnylam Act Program. The original purpose for Alnylam Act and that program specifically has been for hereditary ATTR Amyloidosis which is another genetic disease. It is a disease where it is referred to as multisystem heterogeneous disease where this is a mutation in a specific protein. Because of this genetic defect and with the mutation of this specific protein, this protein accumulates in the nerves, and in the heart and GI tract causing them to the symptoms among patients with hereditary ATTR amyloidosis. That program has been going for about 2 years now. N: Now, symptoms as severe and as acute as they are, they often prompt physicians to perform some unnecessary procedures. G: Yes. This is specifically for the Acute Hepatic Porphyria or for the AHP where the diagnosis can be delayed for almost a decade. Patients are transferred from clinician from specialist to specialist. They’re seen by their respective physicians ranging from neurologist to hematologist to psychiatrist to GI docs or to Gynecologist. Sometimes there are also procedures that are done because the patient also have something else like a appendectomy to remove the appendix. Despite some of these procedures the patient continue to exhibit chronic and acute symptoms. N: If left untreated, how severe do AHPs becomes? Is death imminent if not properly treated? G: Yes. It is an Acute Hepatic Porphyria and they’re of course some acute symptoms that are associated with the clinical presentation. That’s critical but it’s not often, there are some cases, very few cases of death occurring because of respiratory failure. However, when these toxic metabolites continue to be high in the patient’s body overtime, … patients may be at risk for liver cancer as well as for renal or kidney dysfunction. It’s important that these patients get recognized early on so that we can manage them accordingly. N: Although it’s genetic, does it tend to affect men more than women? G: No. The disease is predominantly seen in women and sometimes the symptoms are considered at the time of the menstrual cycle, where there’s a time of stress and which really causes patients to have an increased metabolism. It’s important to recognize that while the genetic test is being done it is only one step towards the diagnosis, right? So just because you may have a mutation, you have to confirm the diagnosis through a biochemical assay or urine test. With the urine test, if there is an elevation of these specific metabolites in conjunction with a genetic test that is abnormal and that’s consistent with the symptoms. N: Is this something that should be considered when a woman begins her menstrual cycle just to be sure for the future? Or is this something that needs to be tested later on in her life? G: Yes. I think it all really depends on, one is if the patient has a family history, if the patient exhibits symptoms that are consistent to with Acute Hepatic Porphyria. As part of the differential diagnosis of the clinician, things that this could potentially be going on with this patient than a genetic test as well as … could be ordered for this particular patient. N: Tell us where we can go and find out more. G: Alnylam Act as I mentioned is available for 2 specific diseases now – Acute Hepatic Porphyria and Hereditary ATTR Amyloidosis and more information can be found at alnylamact.com. N: Thank you so much Dr. Pretish Gandhi. It’s been a pleasure. G: Thank you so much Neal. Take care. N: You too. You’ve been listening to Health Professional Radio. I’m your host Neal Howard. Transcripts and audio of the program are available at healthprfroessionalradio.com.au and also at hpr.fm. Be sure and subscribe to our podcast on iTunes, listen in and download a SoundCloud and visit our affiliates page at hpr.fm and healthprfroessionalradio.com.au.